Where do I begin? Christine and Guiseppe’s elegant garden wedding was AMAZING. Jenny Orsini events and A Touch of Elegance knocked it out of the park with all of the amazing and unique details! Christine and Guiseppe chose to have a more intimate wedding in a local park, and held their reception at Char Steakhouse. Christine wore a stunning lace detailed gown by Mikaella Bridal from Barefoot Bride NJ. 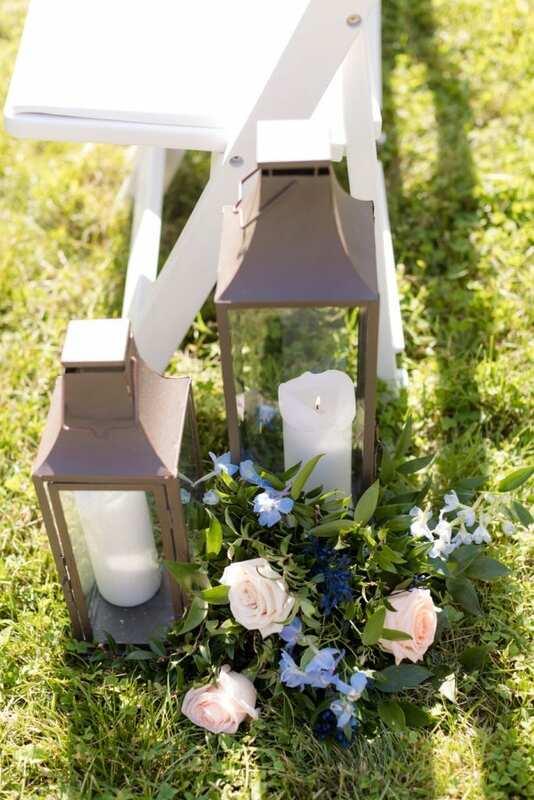 Everything about this wedding was soft, romantic and intimate – the perfect combination! 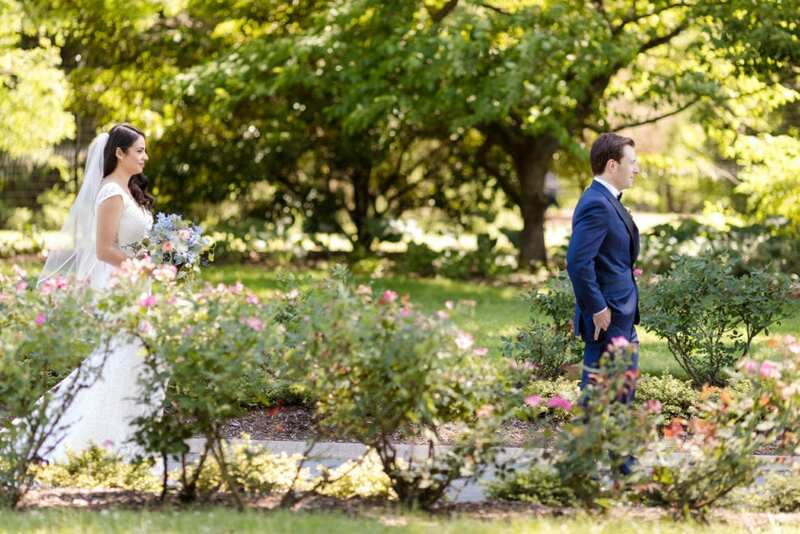 After their first look at Colonial Rose Garden Park, they held their ceremony tucked away from the public of the garden. Afterwards, friends and close family enjoyed a perfect dinner under a ‘starlit’ open air tent and lounge furniture at Char Steakhouse. Be sure to scroll below to see this amazing wedding and hear about Christine and Guiseppe’s love story! Of course, no wedding would be complete with out CAKE! Especially a cake from Antoinette Boulangerie! Enjoy! We actually met at my husbands restaurant. They were opening up their new location in Monmouth County and I was bar-tending. We never really payed too much attention to each other in the beginning. One day during service I went up to him to ask him a question about a bottle of wine on the menu, instead of him answering my question he replied with the question ” Is your hair naturally curly or straight?” (I have curly hair, but I used to straighten it more often and that day particularly it was curly). At that point I had noticed he may have some interest in me and I started paying a little more attention. One day a Knicks playoffs game was on and he had asked me if he should still go to the next game if they lose because he happened to have tickets and he is a big fan. I jokingly replied “I think you should go if they win and also take me with you.” Later on that night, the Knicks won, he walked over to me during service and said “so i’ll pick you up on Friday?” I was extremely nervous that this was a bad idea but I went along with it. From that date on our relationship grew and we fell in love. Fast forward five years and 1 month later to our wedding! 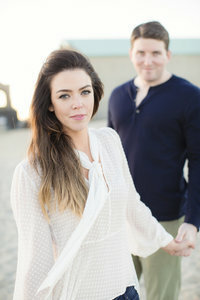 The most important thing while planning our wedding was trying our best to steer away from and “traditional” wedding format and also making sure the food was ONLY AMAZING. We wanted things to still have some elements and moments people look forward to seeing at a wedding, but in a different way. We tried to make our wedding have a little bit more of a supper club feel to it. came from my love of nature, floral and just vintage like things. My favorite memory from our wedding is dancing towards the end of the night with my husband and watching our families and friends dancing and having so much fun together. At one point I was so happy I stopped and just looked around at everyone, the lights, the tables, the flowers everywhere, the beautiful midnight sky and was thinking how amazing it was and that I couldn’t believe this was our wedding. How will you describe the feeling you had on your wedding day to your children one day? One of the longest and shortest days of my life. The most beautiful memories. An unforgettable event that I never really knew I wanted until I lived it and loved it.